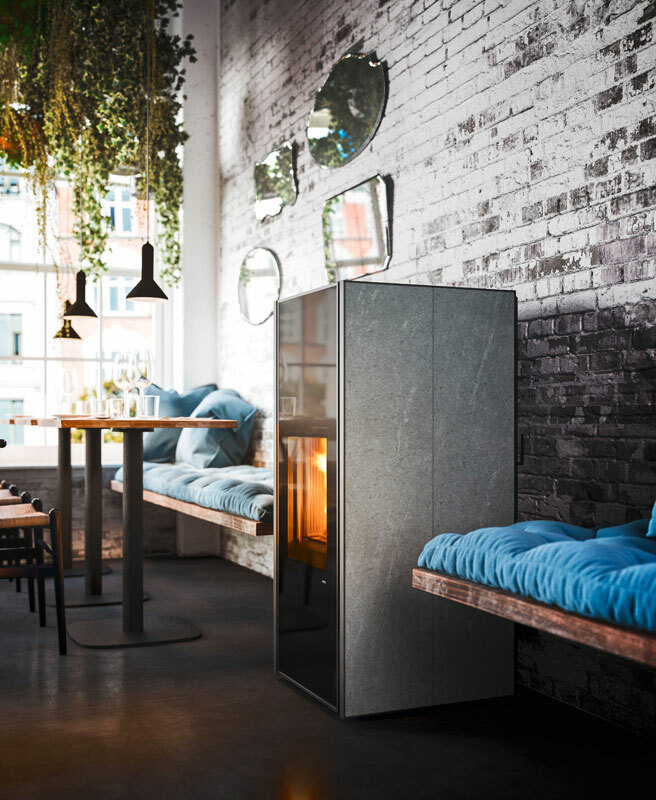 The production of stoves made of stone is part of the trend that has become quite evident in the last few years at furniture and design trade fairs and exhibitions, which involves an increasing use of natural material to furnish our homes. 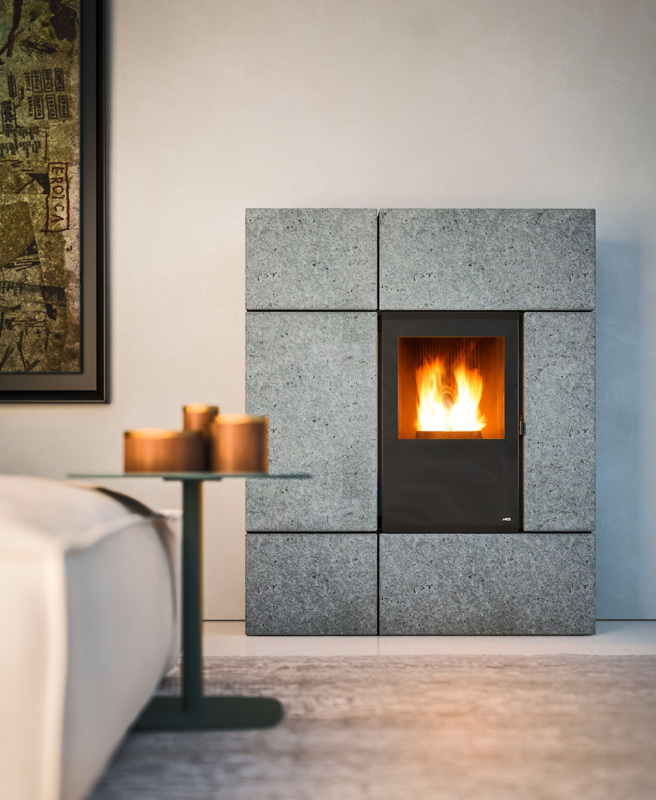 Stone is an interesting material from an aesthetic point of view, a reference to art and sculpture, but is also particularly suitable to build stoves thanks to its high thermal conduction. Unlike other cladding materials, serpentine stone, also known as soapstone or steatite, easily absorbs heat, retains it and releases it gradually. The heat radiation is effective in warming up and spreading evenly around any body exposed to it. It does not force the movement of air and dust in the room, but gives a pleasant feeling of natural warmth. This special stone’s high specific weight, great storage capacity, resilience and immunity to fire allow these stoves to achieve an excellent operating performance. 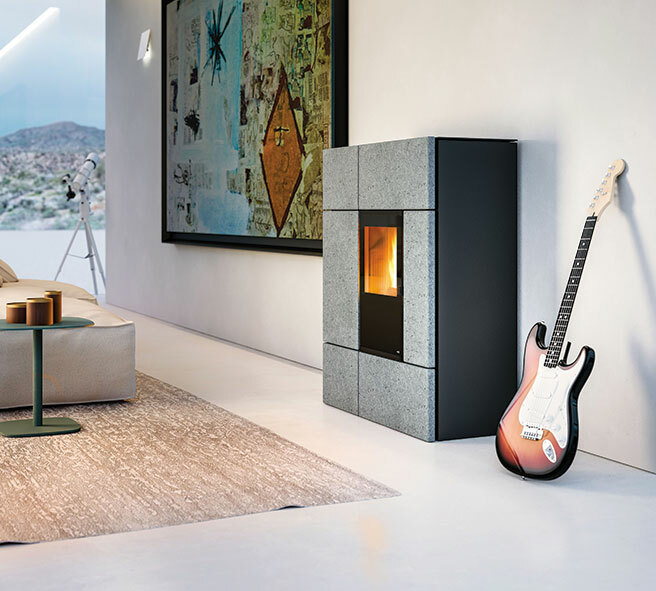 Below is the description of three examples of stoves made of stone: Berg stove - 2016 novelty by Arco - and the stoves Klin and Stream by MCZ, available with stone claddings. 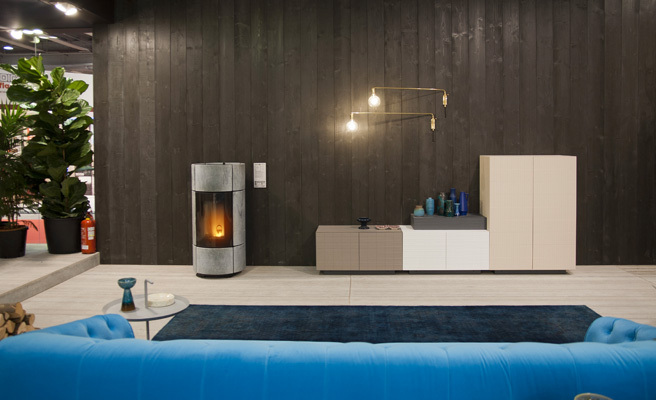 Presentated in February during Progetto Fuoco Trade Fair, Berg by Arco is a pellet stove made of steatite characterised by a simple design and meticulous attention to detail. In addition to the natural property of the stone to store and release heat slowly, this stove has high-performance ventilation, therefore the room can be heated up very quickly and effectively. Nordic design combined with Italian style for Klin by MCZ. 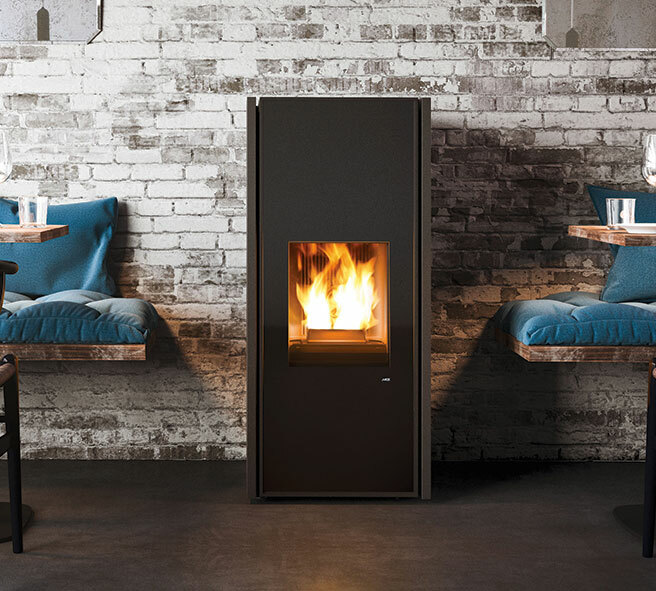 Klin is a pellet stove with a clean and simple look thanks to the absence of a front grille, to a double glass door, serpentine stone or black painted steel sides, top with steel hot air outlet grille and glass pellet door. 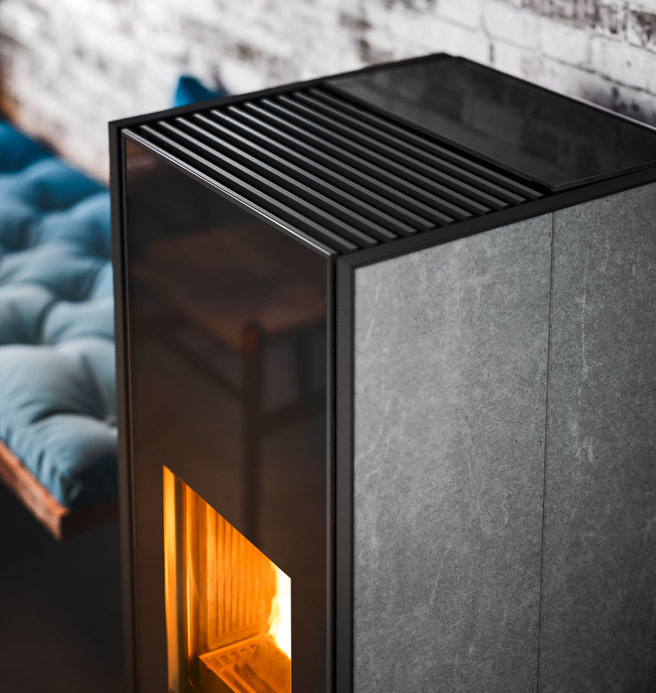 Stream by MCZ is a pellet stove characterized by the front in a minimalist and geometric style, with no visible vents, available in serpentine stone or painted steel finish. 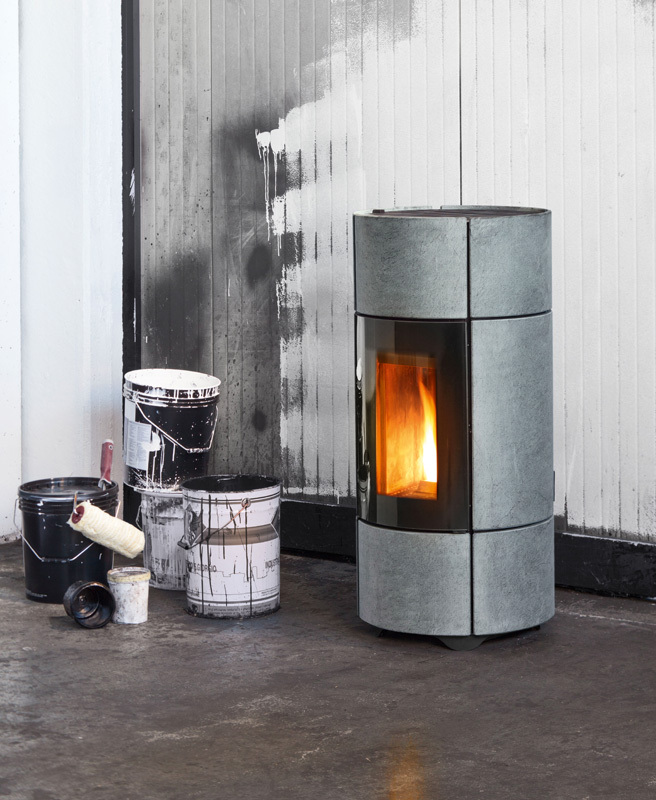 It is perfect to maximise space thanks to its limited depth (39 cm) and to the upper smoke outlet, which allows its use with the existing flue.